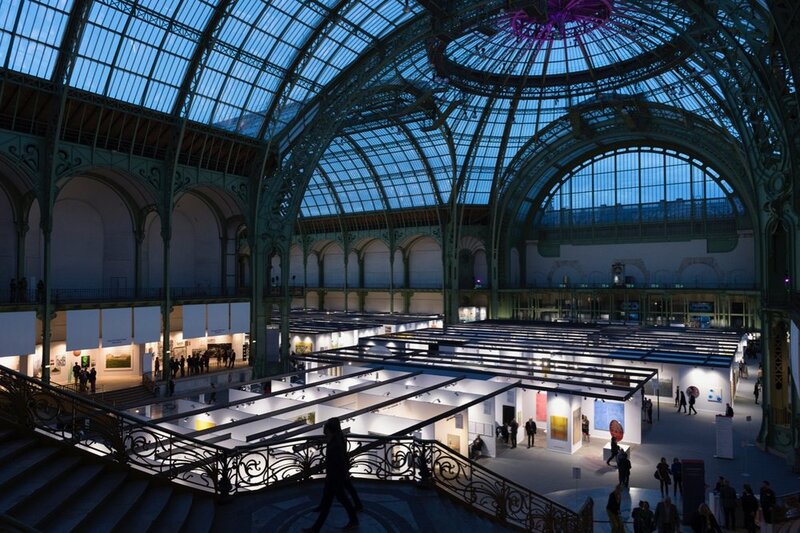 We are pleased to announce that we are media partners with Art Paris, held at the breathtaking Grand Palais in Paris, the show focusses on discovering new artists while at the same time emphasising the European art scene from the post-war years to the present day. The show also provides international artists with a platform to showcase their work to a global audience. With 150 galleries from over 20 different countries, this year also marks the beginning of a new chapter with an emphasis on women artists in France. Curated by AWARE: Archives of Women Artists, Research and Exhibitions, the show presents a critical and subjective overview of the work of women artists in France from the post-war period to the present day with 25 projects selected from amongst the exhibits of participating galleries. Founded in 2014 by Art Historian Camille Morineau, AWARE aims to produce, index and distribute information about 20th-century women artists. 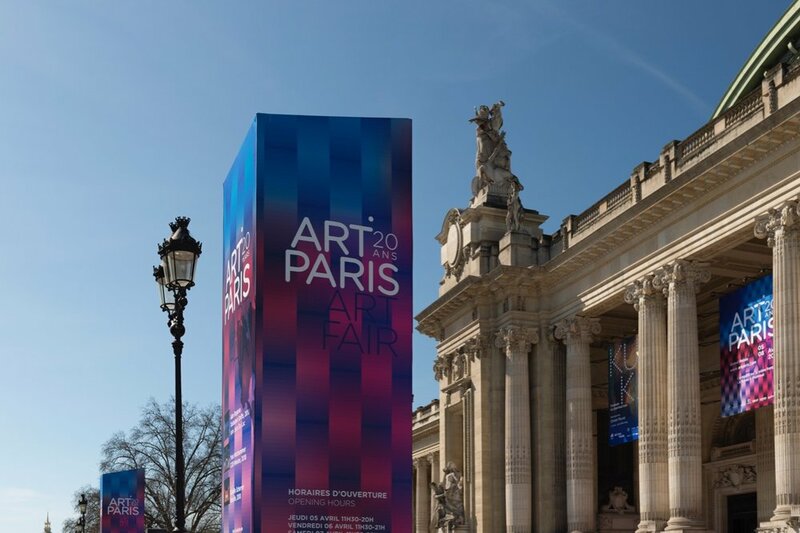 You can find out more about Art Paris 2019 which runs from 4th - 7th of April 2019 via their website below. Working out of her studio in Tuscaloosa, AL, United States, artist Joni Gruber, like many of the artists we have the joy of working with, is passionate about the world around her. A lifelong environmentalist, landscapes and elements from the natural world are prominent subject matter. Some of her work also touches upon the ravages that unbridled industrialisation, unethical and undemocratic use of technology and greed have waged upon the natural world, The consequences of which we are all becoming widely aware of. Joni earned her BFA in Drawing and Painting from The Ohio State University in 1988 with her work residing in private and public collections in the United States and Europe. Working extensively in Encaustic, her pieces have an organic, earthy atmosphere about them; metallics are combined with elemental tones exhibiting her expertise with colour as an artist. She also happens to be a big Star Trek fan! 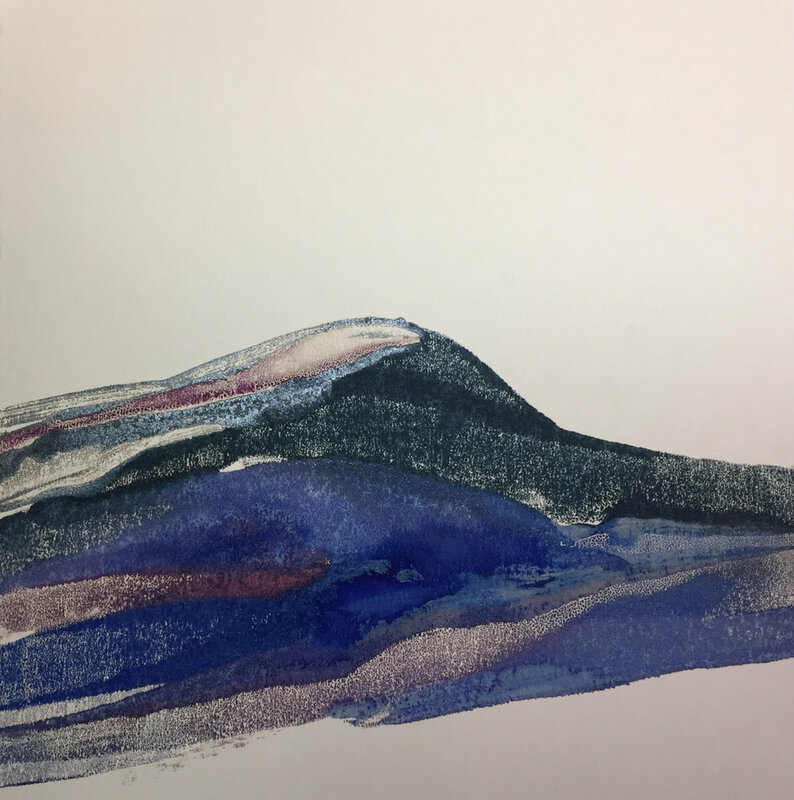 As if growing up and studying in a culturally rich city like St. Louis was not enough, artist Ann Tygett Jones has also spent time in New Zealand and Northern California before returning to The Gateway City. Art classes during summers as a child were where she first explored her creativity which quickly transformed into a passion. Her work, characterised by bright, vivid colours, textures and movement is a visual treat, with swathes of emotion layered in between. 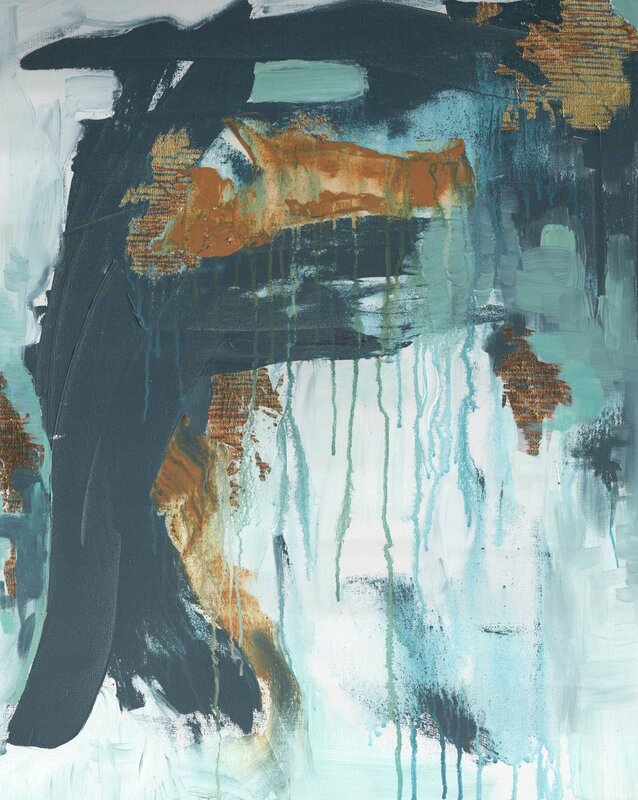 Fuelled by experiences in life she translates everyday events into her abstract work. You can find out more about her work via the links below. 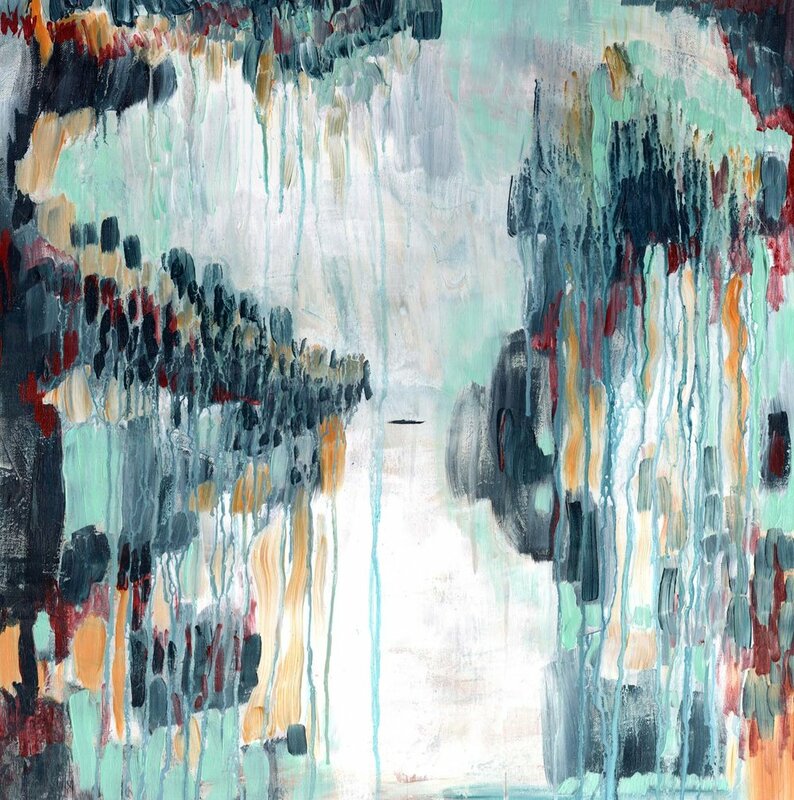 Condensation, 2015, acrylic on stretched canvas. Gilded Abstract, acrylic on stretched canvas with gold foil. Jarring yet poignant, the works of artist Hyun Kim left a lasting impression on us the first time we saw them. Her choice of topics often includes aspects and events from our age that are often forgotten. Primarily using video and installations, the viewers are immersed in the raw emotions she tries to convey resulting in a visceral assault on the senses. Living and working in New York City, artist Heesun Shin who primarily works in sculpture transforms everyday objects into pieces of art that ignite dialogue about our universal human experience. Growing up in sunny California after moving to the United States in her early teens Heeshun holds a BFA in painting and an MFA in Fine Arts from the School of Visual Arts in New York City. Colourful, Bold and Captivating. Those are the three adjectives that crossed our mind when we saw artist Jessica Incerti Telani's work. Having been commissioned by clients such as German automobile manufacturer Audi, Jessica's work has a certain dynamism about it that cannot be pinpointed. Her work often incorporates video projections, delivering an immersive experience that cannot be provided by two-dimensional mediums. The impact that pop art has on our society is undeniable. Everyday objects and images that we wouldn't bat an eyelid at are turned into pieces of art. Artists like Andy Warhol, Roy Lithchenstein, Keith Haring and Richard Hamilton all moved the focus onto celebrities and household names introducing us to a new genre. Falmouth-based artist Jake Jeffries incorporates linear line structures and polka dots with portraits of famous celebrities creating an unmistakable signature. Being born in a multi-heritage household certainly, has its advantages. Artist Clare Smith's Chinese/English descent has given her a varied perspective with regards to many factors, especially art. Clare is also the co-founder of the Dover Arts Development (DAD) which involves working with different artists, curation, organisation and connecting artists across Dover. We recently interviewed Clare for the latest issue of CreativPaper Magazine which you can read here. Humanity tends to leave a mark wherever it goes. There are few places on this planet that are untouched, even less with each passing day. Whether it's leftover garbage, a derelict building or the remains of an ancient civilisation there's traces of us wherever we have been, no matter how hard we try to erase them. Photographer Iggy Beerbower documents this interaction and its impact through her work. Trained under master photography printers Iggy also has experience working as a custom printer for fine artists and has plenty of experience as a darkroom technician for various photography labs. 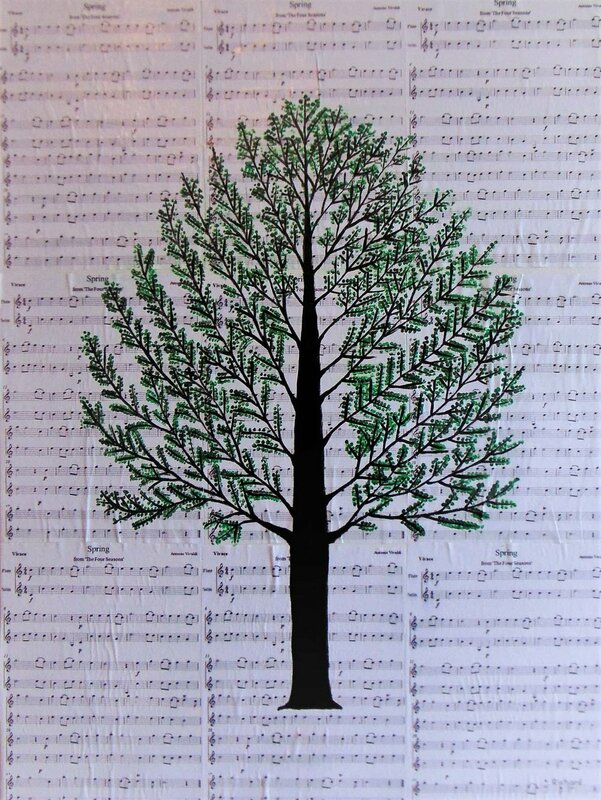 Nature, with all its patterns, textures and colours plays a pivotal role in San Diego based artist Manss Aval's work. Primarily a fine art photographer, Manss also turns his images into works of art, transforming inanimate objects into faces, designs and complete figures that present our environment in a different, more intimate perspective. When you first lay your eyes on artist Jeremie Baldocchi's paintings, you are immediately drawn towards the vivid colours used and the fact they are missing heads. This is then replaced with a sense of wonder and enchantment, the fairy tale like atmosphere is layered with emotions both contended and dark. This French artist surrealist pieces are a refreshing take on what is usually a dark genre. When people think of art, the mind flashes with images of sculpture, painting and expanses of canvas. Yet one forgets that every object we interact with on a daily basis is a result of the influence of art. The garments that we wear to protect ourselves from the elements and express our individual identity started off as someone else's creative vision. London-based fashion designer Sami Armstrong, known for her passion for print, illustration and colour approaches the garments she creates with the same ethos as an artist taking to a blank canvas. Her experiences, travels and emotions conjugating into wearable pieces of art. We sat down with Sami to talk about her time in Cornwall, where she grew up, travel and her hands-on approach to dyeing the fabrics she uses. Have you always wanted to be a fashion designer? I always wanted to be a designer but not necessarily a fashion designer. I have tried not to pigeonhole myself too much as I believe being diverse is essential to creativity. Growing up, I was always very artistic growing up, and I used to paint a lot as a child. The dream used to was to be to become an artist living by the sea, but over time I figured that dream could wait for now as the current ones are incredibly exciting. At school and at college, my interest in Textiles and Graphic Design seemed to naturally evolve towards Fashion. I never felt like I have to make a conscious decision toward being a fashion designer. I was a very organic progression. Could you tell us about your time growing up in Cornwall and how that shaped you as an artist? I had an incredibly lucky upbringing in Cornwall. My creativity was always very much encouraged positively through both my family and my schooling. A very close family friend and artist took me under his wing and supported my love of painting very early on. He lived next door to my Grandma and used to teach me watercolour painting every Saturday morning from a young age to my mid teens. I was also lucky enough to go to a school that supported my creative interests too. This combination of early support from family, friends and education helped to build a creative confidence and gave me a really early focus towards my work. My very first form of income was made selling my watercolour seascapes locally in Cornwall over the summer holidays. I would photograph and paint my very favourite beaches and also did ink illustrations of local buildings with a watercolour wash too. The visitors loved them, and the process built some amazing local contacts that I am still in touch with. My fortunate upbringing was the building block of a much bigger journey, and the level of support from the collaborative creativity in Cornwall has played such a key part in my evolution as a designer. How important is travel and culture as a source of inspiration for you? Travel and my interest in culture have always been a big source of inspiration to me. I consider it very important, not just because of the knowledge and new concepts it provides but because it educates us and allows us to view things with a new perspective which can be really interesting. I find this perspective during travel a real inspirational fuel for new ideas. It provides that diversity I try to maintain and generates new challenges that can positively disrupt too much routine within our lives. Travel and culture feed us with energy to try new things and push ourselves that little bit further. When I travel, I try to record as much as I can through notes and drawing without disrupting the experience too. I also try not to plan too much ahead as that sense of freedom alongside apprehension and fear of the unknown has often resulted in some incredible memories and experiences. Have you always hand-dyed your fabrics? Could you talk us through the process? I try to be as interactive as possible with the materials I use, whether that is through considered sourcing or my own manipulation. I feel continual progression is really important as I want my work to be more than just product but an artistic representation of my approach as a designer too. Since colour is so important to me, dying my own fabrics initially came from the challenge of trying to source specific colours. Dying Fabrics myself proved a far easier way of achieving exactly what I wanted. I can be quite a perfectionist, which is a good yet frustrating trait to have from personal experience. To be honest, the process involves a lot of trial and error. There is always an element of risk, variation and handmade quality, which I really like. It means that each fabric and therefore each product will forever be slightly unique from another. I have tried the process of natural dyeing too. This doesn’t always quite achieve the level of colour I aim for but to I hope to develop ways of incorporating this into my work somehow. I am always on the lookout for new ways of working within my practice. Could you tell us a bit more about the term ‘Seawolf’ and its relevance to your work? Seawolf is a concept that I hope will make a true impact one day. I am a real believer in life-balance and how our work should never cause any elimination of other interests in life as it is inevitable that they will compliment each other somehow. Ironically, even as a lover of fashion, I also have a real resistance and distaste for aspects of our materialistic culture. I think we often forget that true happiness does not come from the quantity of stuff we possess but people and our surroundings. We forget the value of those who support and inspire us, the positive euphoria gain from contributing towards another’s happiness and the satisfaction of materialistic simplicity. Seawolf is the Idea that materialistic success can be capped and beyond that, we should apply our energy towards shaping and evolving greater things. The success of a product is not just about the sale and satisfaction to the wearer but the positive, extended product effect. Seawolf is dynamic, diverse collaborative and ever-changing. It is what makes us think less about immediate production and more about the people, process, longevity and impact amongst a much bigger picture. Do you think the fashion industry needs to do more with regards to the biological impact it has on our planet? Absolutely. I don’t want to be too negative as there are always ways we can do better, but the fashion industry has the power, as a major contributor, to positively address this. I do think that a majority of brands have the ability to consider and respond to these issues without creating a negative impact on their business. Our culture is so open to these changes, and I hope for it to be part of the natural evolution within Fashion now. Where speeding up this evolution is the added bonus and products what were perhaps once desired are replaced by less biologically impactful ideas. To work for a brand that takes these issues seriously and reduces their impact where possible does give me a feeling of pride. I do feel that this should be at the forefront of the fashion industry and I do consciously try to make an effort to engage in these issues myself. In my opinion, it’s all about being involved, taking responsibility and educating each other about these issues positively. We are controllers of our own future, and together we can make a difference. Is there a personal goal you would like to achieve apart from your art? I like to think of myself as a bit of an adventurer. I always wanted to be an explorer, and I would be lying if I said that dream didn’t still exist in a slightly less obvious form. I love to challenge myself beyond just my creative interests. I am a very active person and really took advantage of living by the sea growing up. One day I will live on the sea and explore the world with a new perspective. I would like to travel without a plan for period of time one day, using my creative focus to become involved and contribute along the way. My character is generally quite driven and disciplined, but I do have a very strong element of free spirit that enjoys disrupting too much routine. I think it is this element that drives my need for diversity within my work and obsession to travel and experience new things. The unknown is a powerful and exciting prospect. You recently did some work with the Coppafeel charity, could you tell us a bit about how that came about? One of my hobbies is running, and I signed up for the 2017 Bath half as a personal challenge through the Coppafeel charity. I became properly aware of Coppafeel back in 2015 when I ran my first Half Marathon, also in Bath. Running for a charity is important to me. This time I wanted to think a little outside of the box for new fundraising ideas. I have been inspired by the charity and what they do so simply began illustrating in response to that. A local Printing company called 3rd Rail clothing had a new service called Print Social, and with their help, my illustrations soon evolved into the perfect fundraising t-shirt campaign. This was a great way for me to be creative and effectively fundraise while spreading the word through new, exciting product! Print Social helped me to launch a limited edition campaign and sell efficiently for a limited time. The team at Print social, Coppafeel and myself supported each other through the promotion of these sales, and every single penny of profit went directly to Coppafeel. It was a fantastic collaboration, and I thoroughly enjoyed working with these teams and creating a unique limited addition product, inspired by those who truly make a difference. What is your driving force as a designer that separates you from your contemporaries? I believe in the process but also in something further than just the creation and sale of a product. I was to impact others beyond the ordinary. I don’t work within fashion to add to our culture's reliance on materialism, I do it to create beautiful, considered product that goes further than the product itself. To generate a product that is entangled, whereby its function is one thing, but then its design evolution and positive effect through production and sale is another. I source with consideration, collaborate where possible and build positive relationships which continue to help, support and generate a new ethos within the industry. I want to confront the industries greed, selfishness and abuse toward skills and talent and generate creative support and new energy, extending into other industries and charity based projects too. Would you ever consider moving back to Cornwall? One day I would yes. Cornwall is incredibly special to me, and I do often miss the lifestyle. However, I do love living here in London as the energy, diverse opportunities and fast city pace really suit me right now. I am aware that this may not suit me forever, so my aim is to learn as much from the industry as possible to build a network that enables me to be flexible about where I choose to live. To one day gather enough skills and support within the industry to sustain myself, as a designer in Cornwall would be incredible but whatever happens, I will always have close connections to home. I have always felt very lucky to be able to enjoy city life but also escape South to the countryside when I need it. ‘If you make a mistake, use it!’ My first Art tutor and close family friend gave me this advice. It has since helped me to build a positive, creative approach to my work and to try not to get too anxious about creative decision-making. I believe that things in life often happen for a reason, but we are also controllers of our own happiness. My advice from Alan compliments this belief and helps me to make the most of the things within both my creative practice and life’s opportunities too. We are so engrossed with our mobile devices these days we are blithely unaware of the world around us, and the sensory stimuli are we missing. Inspiration is all around us, from graffiti on the streets, the colour of someone's headband or the glorious rays of sunlight piercing through a gloomy sky. Inspiration that could lead to countless other ideas. Artist Harriet Hoult taps into these moments and translates them to paper. Primarily using acrylics along with collage, oil pastels and watercolour Harriet takes an image from her head as a starting point and develops it organically. Fascinated by aesthetics her work explores the visual interplay between form, space and colour. Without the presence of water, life on our home planet would be very different. We only have to look at other celestial bodies within our solar system to realise the role it plays. For the past ten years for Taiwanese artist Jerome Chia-Horng Lin this element has been the focus of his work. This fascination with nature takes form through paintings that highlight the fluidity and formlessness of his subject matter. Intrigued by the world of art at an early age, it was not till later in his life that Jerome incorporated the lessons learnt at Pratt Institute, NYC about 3D animation in his art. The sense of depth in his pieces is a clear representation of this. We recently interviewed Jerome for the current issue of CreativPaper Magazine which you can read here. Aside from being a professional BMX rider and extreme sports enthusiast 23-year-old conceptual artist Tavin Davis certainly doesn't like to limit himself to the title of an artist. Preferring to call himself a philosopher of sorts working with visual language. Challenging stereotypes, norms and perceptions he is influenced by artists such as Marcel Duchamp, Donald Judd and Martin Creed to name a few. His work focusses on the impact and control that large corporations have on us, both on a literal and subconscious level and the cultural appropriation of censorship. Tavin's work is refreshing and brimming with promise. A multi-award winning fine art photographer from Poland, Justyna Neryng uses each frame to narrate a story. Influenced by the time spent with her father's photography gear, darkroom and the forests of Chelmsko on the Czech border Justyna's work, especially her portraiture combines elements of vulnerability, isolation, eroticism and alienation. In this interview, Justyna talks about overcoming her personal battles, her childhood and working with her beautiful daughter. Photography is traditionally known as a tool to document the world; we would love to know your thoughts on using it as a tool to create art? I wouldn’t say that photographers who document the world are not artists. Martin Parr and Richard Mosse both push the boundaries of the document in very creative artistic ways. But I suppose I draw more on the traditions set out by Cindy Sherman, Joel- Peter Witkin and Julia Margaret Cameron……, in that I try and photograph my ideas and thoughts rather than the world in front of me, trying to capture people's souls not their likeness. Do you remember the first time you discovered your father’s cameras and took a picture? I remember my dad giving me his camera to play with on one summer day. My mum and siblings were all sat in the garden so the first ever photographs I took were portraits of my family. A few days later I had the chance to learn how to develop all the images in the darkroom we had at home. It was a fantastic experience. Since that moment I became interested in photography. Unfortunately a few years later due to our financial situation the camera and the darkroom was no longer available to me, so I decided to follow my Grandmothers dream and went on to study dress making , which came handy for making costumes for "Childhood Lost "project. The second time I have come close to photography , I remember being approached by Brighton based artist, photographer Tobias Slater-Hunt who asked me to model for him. So I did. While doing a little bit of modelling I started to experiment with self-portraits and portraiture, and I have been doing it ever since. Could you tell us a bit more about the project you are working on with your daughter titled Childhood Lost? "Childhood Lost" is an autobiographical project- a self-portrait in a different body. The images are aesthetically inspired by portraiture from the Golden Age of Dutch painting. I use traditional drawing on paintings as inspiration, giving the photographs a timeless feeling. The other main component of this project, is the painstaking style and prop building, which are used to evoke different personas played out by Nell my daughter. I am currently in a process of making new costumes for part two of “Childhood Lost”, having had three years break from it. The second series “as yet untitled” will deal more with Nell’s adolescence, she now is on the verge of being a young adult woman. It is a strange time for her, part of her still in childhood, the rest of her rushing towards the adult world “Growing up is an awfully big adventure”. What excites you the most about photography? The personal contact I have with the people I photograph and the possibility of making great images. I love the feeling when I know I’ve got a good shot. What led you to move to your adopted town of Hove? Before moving to Hove I lived in London for 8 years where I studied and worked . I have been visiting Brighton&Hove regularly with my partner. In 2001 we were both involved in motorbike accident and unfortunately he didn't make it, few weeks after his funeral I find out that I was carrying his child. Soon Nell was born and to keep all my beautiful memories from my short but fulfilled relationship I decided to move to Hove. I find Brighton&Hove an inspiring place to work and live. It's full of creative people like Nick Cave for example and many others, actors, artists and musicians. I also feel fortunate to find myself in very good collaboration with local models and artists. We are intrigued by your body of work titled ‘Ghost Dance’, Could you tell us how that project came about? It was a combination of many things. I had been researching Victorian photography, as I had been inspired by a visit to Julia Margaret Cameron’s studio in the Isle of Wight, also I stumble across a book called “Phantasmagoria “by Marina Werner. The book tells of how photography was used by the Victorians to photograph the super-natural, ghosts, etc. I was amazed at how photography was so entwined with the fantastic and the imagination.Rather than merely as a tool for documentation. At the same time I was experimenting with self-portraits in the studio, it’s a process I often use to teach myself new techniques.Never really intended as an end in itself, but I think it is important for all artist to play with the medium they use, and I am often the only model available.This was how I found the technique I eventually used for “Ghost Dance”. More research led me to discover Japanese ghost paintings, and by the time I found the model I used to pose with me, all the elements were just there to fall in place. As an immigrant who has carved a life for herself in the United Kingdom what are your thoughts about its decision to leave the European Union? I believe the British people made the wrong decision. As an artist, I am deeply concerned with the impact leaving the EU will have on culture an impact that will be felt because of the stripping away of funding that was once provided by the EU. Has it changed the way you see the country? The decision to leave the EU clearly divided the whole country, and it’s not a good thing. What shocked me the most it was the hate crime raising against migrants soon after the results, and that's scary. Do you think mobile photography has had an impact on the profession that you are in? I suppose living in a digital age mobile photography have some impact in a way, selfies, for example, I think they undermine what was once a rich vein of creativity in the arts from Durer to Sherman. Also, I like my work to be as highest quality as possible, and I don't think you can get that from mobile photography like you can from analogue and digital cameras. Is your daughter a willing accomplice when it comes to your work or does you have to bribe her with treats? Yes, when we started the project, she was only eighth years old, really lively so to make her still I had to give her small amount of chocolate. When it came to posing though I didn't have to do anything as soon as I had the camera in my hands pointing at her, she completely transformed, she is a wonderful model. Nell is 15 years old now and is more understanding and appreciative of what I do as an artist. That certainly makes the collaborations on the new series much more interesting and stronger. What is your fondest memory of being back home in Poland? My childhood was filled with the myths of Eastern Europe, and I would spend my days roaming free among the forests and wild. Without this memory, I wouldn’t be able to create "Childhood Lost ".